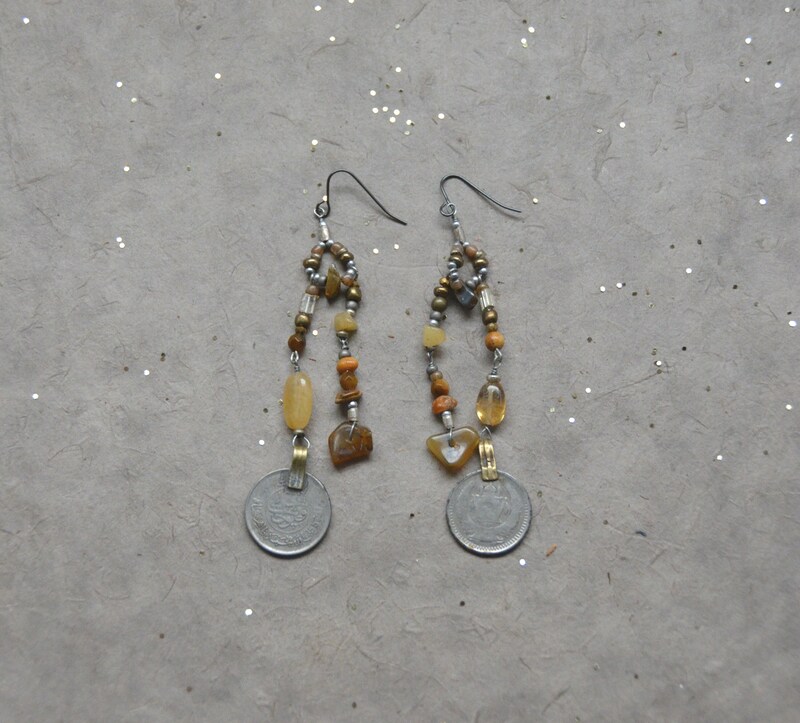 Free Spirit Earrings, Chakra 3 are created with love by Kristen Wilson for Tribal Haus. These represent the free spirit that I within us all. 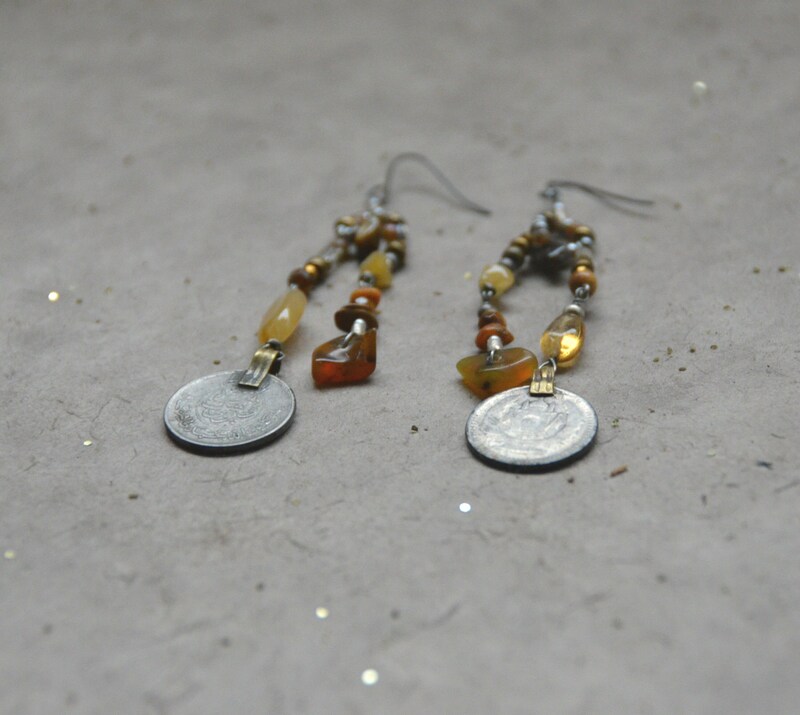 They are made with agate, tiger eye, jasper, amber, yellow quartz and 2 Kuchi coins. They measure 4" from the top of the antiqued surgical steel French style earwires to the bottom of the Kuchi coins.